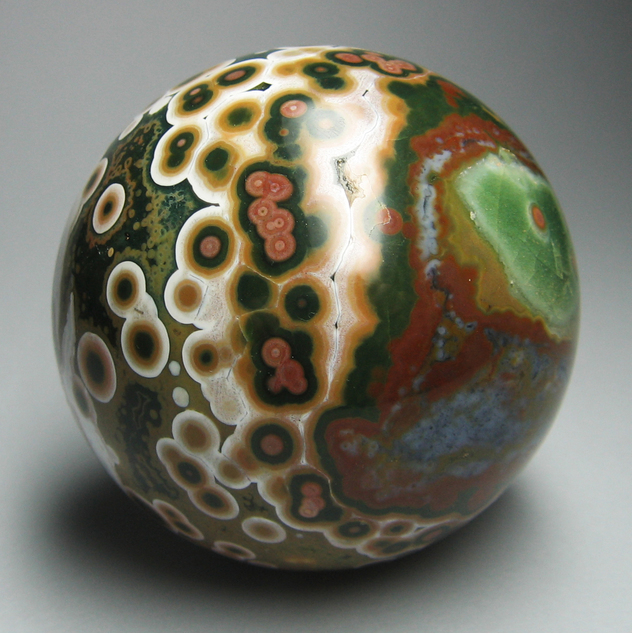 Orbicular Jasper: Mineral information, data and localities. Orbicular Jasper is a name given to a highly silicified rhyolite or tuff that has quartz and feldspar crystallized into radial aggregates of needle-like crystals forming orbicular (spherical) structures. It is often used as a decorative stone. 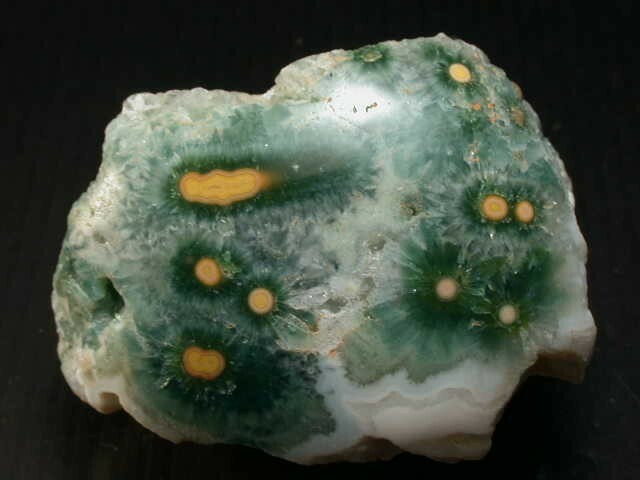 Visit gemdat.org for gemological information about Orbicular Jasper. Quartz 5 photos of Orbicular Jasper associated with Quartz on mindat.org. Agate 3 photos of Orbicular Jasper associated with Agate on mindat.org. Carnelian 2 photos of Orbicular Jasper associated with Carnelian on mindat.org. 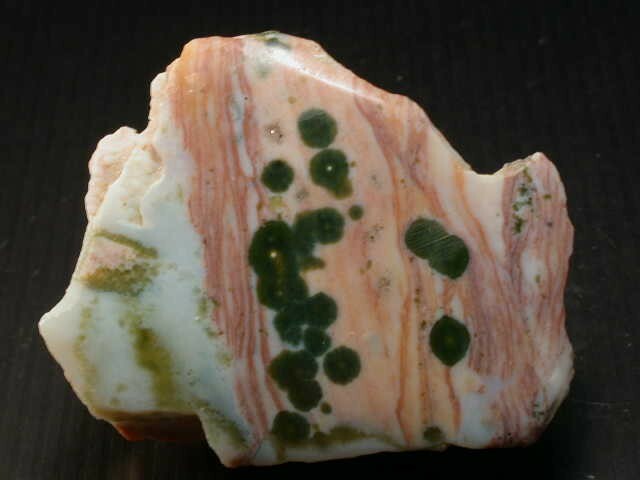 The following Orbicular Jasper specimens are currently listed for sale on minfind.com. Leonova L.V., Pribavkin S.V., Gulyaeva T.Ya. (2003) Concretions from Paleozoic silicites of Southern Ural, - Mineralogicheskoe Obscchestvo, Vestnik Ural'skogo Otdeleniya, №2, pp. 61-65 (in Russian).